Kalandra Jane - Millinery and Musings! : Please vote for me in the Vintage Awards - LAST DAY! Please vote for me in the Vintage Awards - LAST DAY! 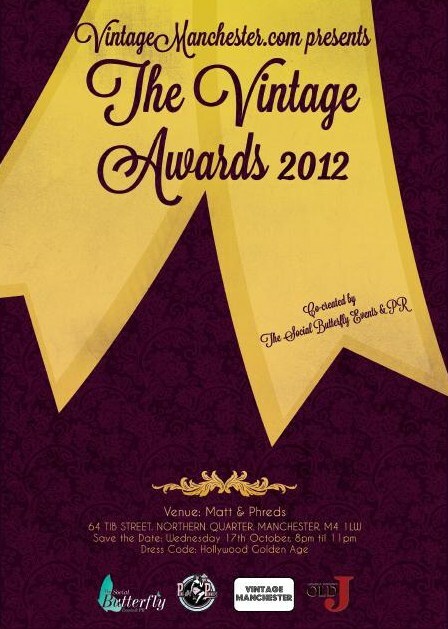 I've been nominated as a finalist in the Vintage Manchester Awards! You don't need to be from the area to vote and no registration is needed, so please, please go and vote for me in the 'Best Vintage Inpired Designer' and 'Best Vintage Blog' categories! I really appreciate all the support my blog readers and Kalandra Jane Designs customers have given me since I started my little venture! If you fancy you could also vote for my friends Bethany Jane Davies, Vintage Twists, Rose and Lee Vintage Living, Carnival Divine burlesque,Vintage 78 DJs, or Mikey Wong, they've all been supporters of my business over the last couple of years and are all very deserving of recognition! Of course I'm supporting you and vote for you! I need votes too in another contest: I was chosen to from over 300 girls to be among the finalists for the Maybelline Street Style Contest Switzerland. I would love you to vote for me too. It's on Facebook and you just have to like the page and vote for me (Sara S) with clicking the blue button beneath my name. You can vote every day till the 15th October. Wishing you good luck for the vintage awards! You would be an amazing winner cause your style is very inspiring. Oh no I was too late :-( I am so sorry but I didn't see you post before. Hope a lot of other people gave you their vote, cause you earn to win!